● The site tends to offer an incentive for signing up for the email newsletter, such as a $10 off coupon for being a new subscriber. ● Free shipping is often available for a minimum purchase (usually $50) and with use of an available promo code. See here for details. ● Check out the Deals section for savings as much as 60% for featured items. ● Visit the Clearance page for markdowns as high as 70%. 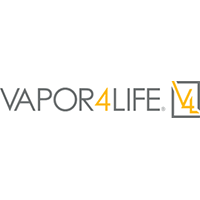 Whether you are new to the world of vaping, or if you have been a vape enthusiast for years, Vapor4Life has something to offer you. You can shop for new flavors, buy a kit to help get you started, or simply learn more about why many feel vaping is a safer, cheaper alternative to smoking. You can purchase vape kits, e-cigarettes, eliquids, e-cigars, cartridges for your current vaporizer, and batteries. You can also purchase additional accessories like chargers, cases, drip tips, adapters, passthroughs, and much more. The range of eliquids guarantees that you can find exactly what you are looking for. The vape kits available are some of the best in the industry. For most up to date offers check out Vapor4Life on Facebook and Twitter or contact Vapor4Life Support for any questions.